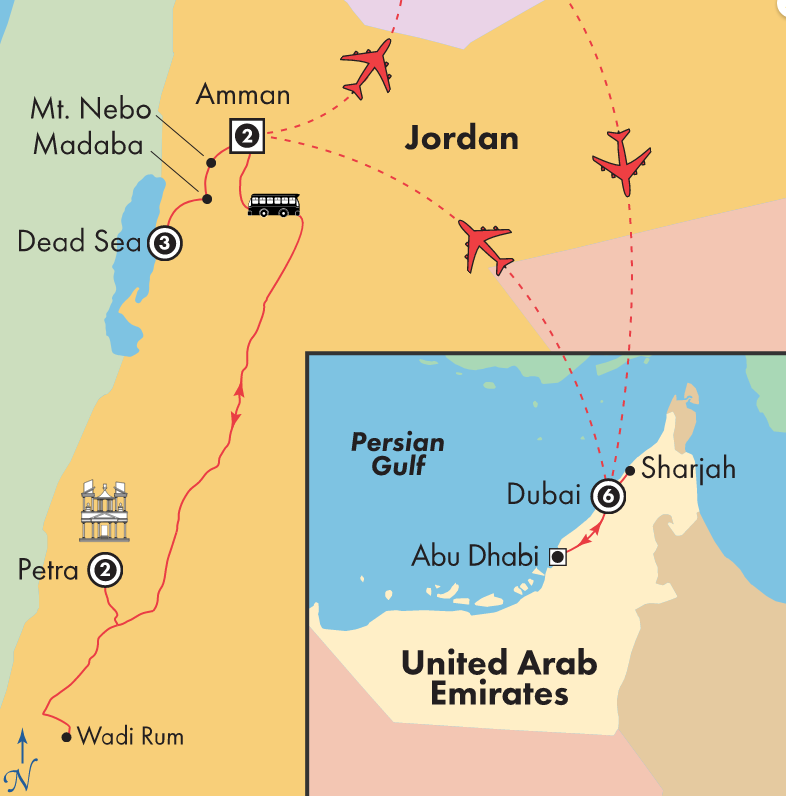 Visit ultramodern Dubai, enchanting Amman, historic Petra, the scenic desert valley of Wadi Rum and the Dead Sea! In Dubai, journey to the top of the Burj Khalifa, the tallest tower in the world, and enjoy breathtaking panoramic views of the city, ocean and desert. At the iconic Atlantis, The Palm Hotel, explore their astonishing aquarium inhabited by thousands of marine species from around the world, before visiting the Dubai Museum and walking through the bustling alleys of the spice and gold souks. 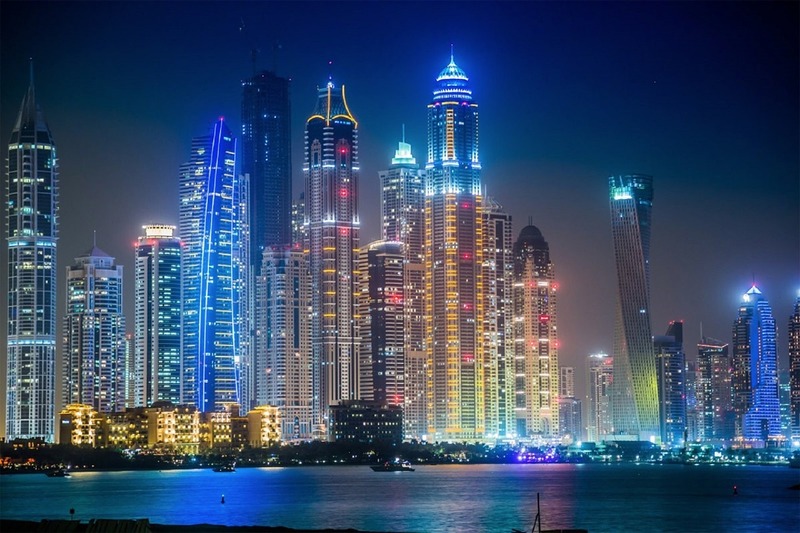 Plus, with two additional days at leisure to further explore the vibrant city of Dubai, perhaps join the optional safari tour into the vast desert that surrounds modern Dubai. Stroll along the coastline, shop at the modern Dubai Mall of the Emirates, or take our optional tour to Sharjah, the Culture Capital of the UAE. Next, tour the capital of the United Arab Emirates, Abu Dhabi. En route, pass Jebel Ali, the largest man-made port in the world. Upon arrival, visit the Grand Mosque, iconic symbol of Abu Dhabi, then drive along the Corniche to the Breakwater, from which you can enjoy magnificent views of the city’s skyline. Continue to Heritage Village for a discovery of the pre-oil life, and the Zayed House, for a peek into the life of the late Sheikh Zayed. Return to Dubai via Yas Island, where the Ferrari World theme park and the brand-new Formula 1 race track are located. In Jordan, enjoy time at leisure at the lowest spot on Earth, the Dead Sea, and perhaps experience the floating waters of this natural beauty. Drive to visit Mount Nebo, the reputed burial site of Moses, the majestic city of Madaba, and the impressive Kerak Castle. 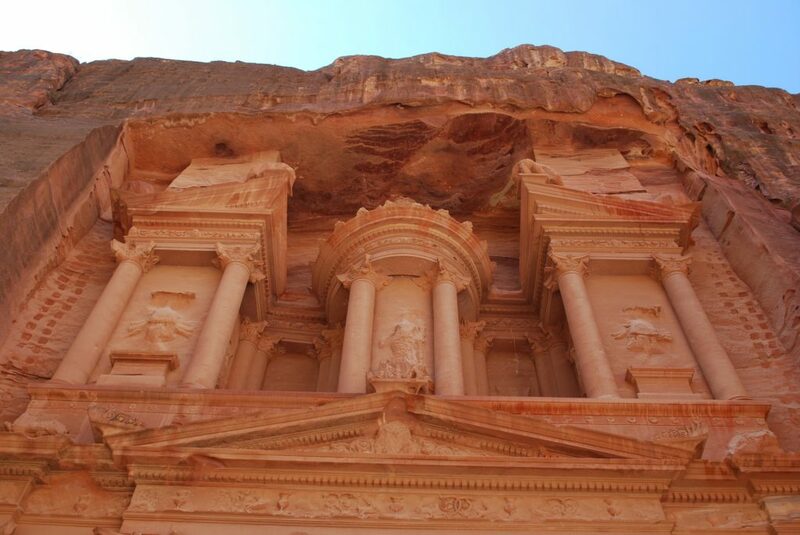 Experience a full day to explore Petra, both a Jordanian national treasure and a UNESCO World Heritage Site, and see its most extraordinary monument, the towering Treasury building, rising over 140 feet. 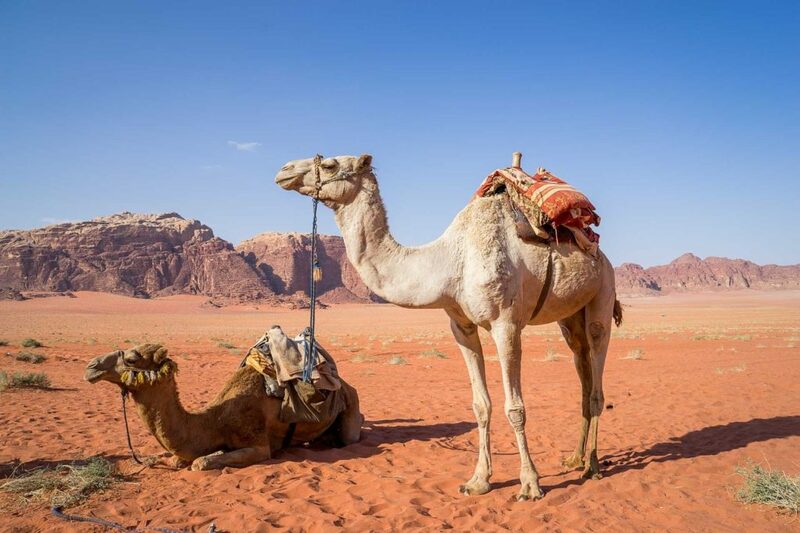 Head to the magnificent moon-like landscape of the Wadi Rum Desert, where you will embark on a short ride in a 4×4 vehicle to explore the valley, with its looming rock faces that have seem to grown directly out of the sand and endless skies. 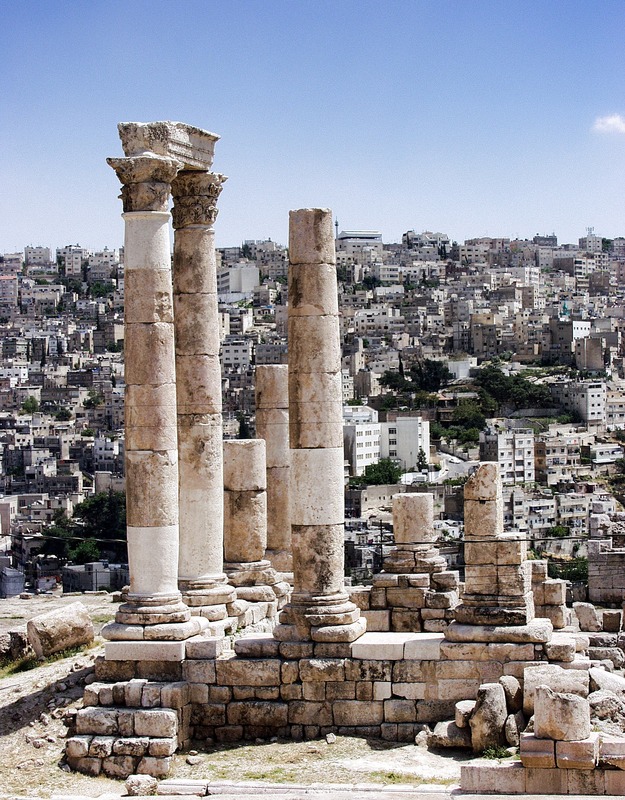 Finally, enjoy time at leisure in Amman, the capital of the Kingdom of Jordan. Perhaps join the optional tour to venture to Jerash, featuring colonnaded streets, temples, baths, theaters, plazas, all encompassed within the remaining city walls. With a full day at leisure enjoy all of the delights of the Dead Sea. Pamper yourself with fabulous treatments, sample the Dead Sea’s renowned restorative powers, or just savor the beautiful surroundings and natural beauty of this area. *For a price quote and availability please contact our office. Tour available year round and includes return airfare from Montreal or other gateway cities, airport taxes, transfers, accommodations, most meals, the services of an English-speaking tour manager throughout plus sightseeing & entrance fees as per itinerary. OPC Indemnity Fund fee of $1 per $1,000 of travel products and optional travel insurance cost additional. Limited space, other conditions and restrictions may apply. Not all travel dates available. Offer is subject to change or cancellation at any time.